I am working as an engineering researcher and pursuing a Ph.D in Industrial Innovation Engineering. My area of interest regards the big data, the informative systems and everything in which the data management is involved. I believe that the collection and study of data is becoming a real important need for the modern industry: acquiring, investigating and correlating information that comes from different sources, it is possible to understand situations, define patterns and even predict the future. In the recent years, a lot of manufacturing companies are becoming very interested on this kind of matter as it is one of the pillars of Industry 4.0: acquiring machine sensor data, it is possible to understand the machines working status, predict wears and plan maintenance in time. I am a tech enthusiast, always interested in the innovative technology trends and trying to apply them to the projects, in which I am currently involved, in order to add more value to them. After my graduation in Management Engineering at the Polytechnic University of Marche, I moved to Reggio Emilia in order to obtain my master degree. Everything started with my internship in the ARSControl research group. I was working at the IMPROVE European project and my objective was regarding the development of a simulated production plant for one of the project industrial partners. I then graduated in July and started working as a researcher in September. 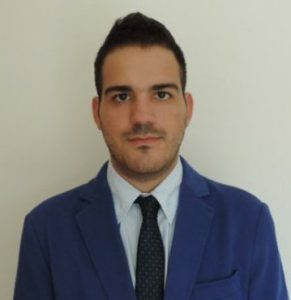 I am currently involved in the IMPROVE project and working in other two Italian projects in which I am also leading a group of trainee students: all of these projects regard Industry 4.0.